Long-tailed macaques do not stay inside the forests, but range on the fringes of it, hence why we spot them easily. Some people think it will be exciting, fun or cool to keep a wild animal as a pet. But we only have to think of the complex environments in which wild animals live – forests, deserts, wide open spaces, rivers, oceans- to know that we can’t possibly provide for their needs in captivity, especially in a small cage or tank in a house or flat. Just like us, animals get bored and frustrated when they don’t have things to do and when they can’t act on their natural instincts, and, in the case of social animals, are deprived of the company of others of their kind. 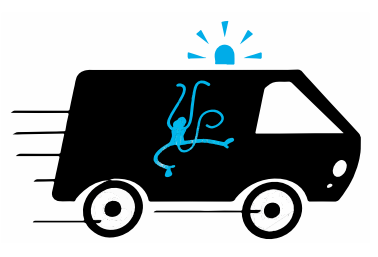 You may see a pet monkey rocking from side to side, a bird on a perch bobbing his head up and down, a caged squirrel pacing from side to side or running round and round in circles. These are all stereotypic behaviours. Some animals are so distressed they may resort to self-mutilation – pulling out their fur or feathers or biting their limbs and tails. And if this isn’t reason enough to not keep wild animals as pets, keeping them can be dangerous for us too. Several serious diseases, called zoonotic diseases, can be passed from wild animals to humans, and vice versa. Also, wild animals, no matter how long they are kept as pets, remain wild animals and retain their natural instincts, and can often inflict severe injuries through bites and scratches. Most primates are highly sociable and live in complex social groups or families. Many species need the company of others of their kind and the opportunity to form strong social bonds in order to feel secure and to engage in their natural behaviours – such as playing and grooming each other. 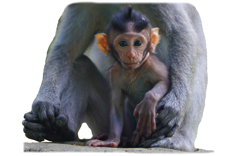 Baby primates need their mother, learning from her all the skills they need to survive. Depriving social primates of contact with others of their kind is extremely cruel and is distressing for them. The majority of primates need trees to feel secure – most species will feel safest when off the ground. Very few people can provide their pet primate with a home in the trees. Primates also need very specialised food to keep them healthy. Many primates are omnivores, and in the wild they will spend much of their time foraging to make sure they eat just the right balance of fruits, leaves, bark, insects, and even small animals. Others can only eat certain leaves. It is very difficult to give a pet primate the food he or she needs. Primates are well-known for being highly intelligent and inquisitive. In the wild, their minds are constantly engaged with finding food, finding safe places to rest and sleep, keeping a lookout for danger and interacting with others. In captivity, especially if they are kept alone, they do not have all these things to keep their minds active. Primates quickly become bored in a barren captive environment and often resort to abnormal stereotypic behaviours such as rocking, pacing and excessive self-grooming. They may even resort to self-mutilation – hurting themselves because of stress and frustration. Cute baby primates of many species quickly grow into strong, powerful adults with large, dangerous teeth as they reach maturity. The urge to find a mate may lead to increased frustration and aggression, and primate bites can cause serious injuries. There are also many harmful diseases carried by primates that can be easily passed to humans, such as hepatitis – another good reason why primates do not belong in our homes. Although widely kept as pets in many countries, the numerous health problems that captive reptiles are prone to indicate that they really are not suited to life in captivity. Reptiles need highly specialised diets. But many are given the wrong diet in captivity, resulting in malnutrition and vitamin and mineral deficiencies. This leads to a range of painful health problems, such as arteriosclerosis and gout. Poor diet can also result in metabolic bone disease-a group of disorders such as rickets and osteoporosis which cause shells and limbs to become deformed. Incorrect humidity – too high or too low – can cause respiratory diseases, fungal infections and problems of sloughing (shedding of the skin). In severe cases, incomplete sloughing may result in the loss of limbs and death. Each reptile species is adapted to the temperature in its natural environment, and failure to replicate this in captivity can lead to severe digestive disorders. Insufficient light can lead to rickets, anorexia, starvation and mouth rot in some reptiles. The misuse of lamps and other heat sources in reptile enclosures can result in serious thermal burns. Most enclosures sold for reptiles are extremely small, and many pet reptiles end up being kept in very cramped conditions, sometimes with hardly any room to move. 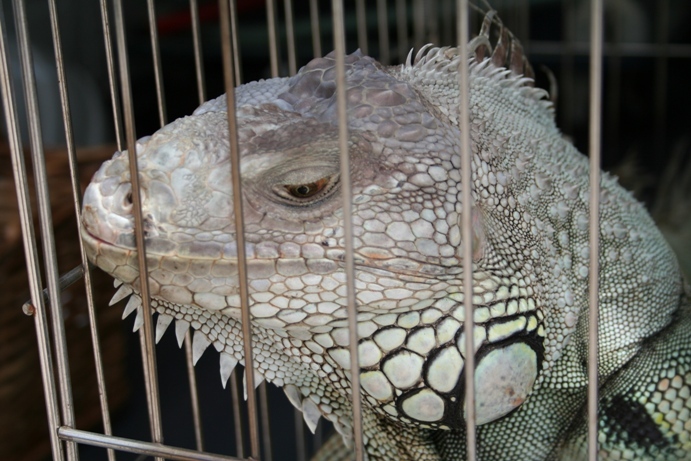 Tanks or cages with glass or sharp wire mesh sides are bad homes for reptiles. They often repeatedly knock their heads into or rub their faces/snouts along a glass pane, or they may rub their snouts against wire mesh again and again. This can result in considerable injuries to the face. Diseases such as mouth rot and egg-binding are common in captive reptiles and induced by many factors including malnourishment, incorrect temperature and/or stress – all of which are common problems for reptiles kept as pets. In the wild, reptiles will go through various physical and behavioural changes with the changing seasons. In captivity, they do not experience the changing seasons, and this can have a very negative impact on their welfare. Most birds were designed to fly, and most pet birds are kept in cages, with little or no opportunity to do this most natural of behaviours. There are also other reasons why birds belong in the sky, not behind bars. Some species of bird can live between 20 to 70 years – far longer than most people are prepared to care for a pet. Yet many people do not realise this before buying a pet bird. As a result, many birds end up neglected, or are abandoned at overcrowded shelters or sanctuaries. Or they may be inappropriately released into the wild into an alien environment where they will probably not survive. 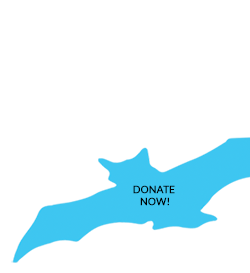 Birds in captivity are often deprived of their most basic need – the need to fly. This is highly stressful both physically and mentally and has been likened to depriving a human of the opportunity to walk. Worse still, many pet birds will have their wings cruelly pinioned (clipped) to prevent them from escaping. This takes away their ability to fly – an ability crafted by countless years of evolution – and leaves them effectively disabled. Captive birds frequently display a variety of abnormal behaviours as a result of their confinement and frustration. These include excessive screaming, feather plucking and self-mutilation. These behaviours lead us to question whether birds should be kept as pets at all, especially those species prone to such behaviours. Please do not keep any wild animals as pets. Not only because keeping wild animals as pets is detrimental to their welfare, but also because in Singapore it is against the law to keep most wild animal as pets. 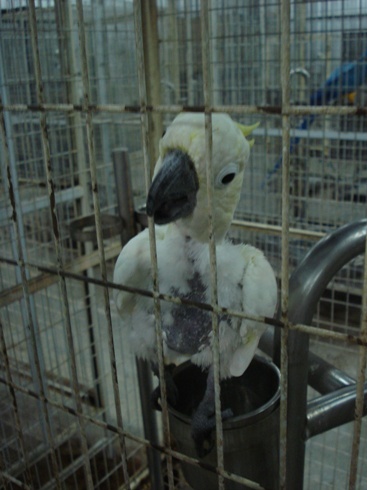 Any prohibited exotic animals being sold as pets in Singapore will have been cruelly smuggled into the country to sell, and may well have been captured from the wild. If you would like to get a companion animal to care for, please adopt a dog, cat, rabbit, hamster, or any other domestic animal, from the SPCA, Cat Welfare Society, Action for Singapore Dogs, Mutts and Mittens, or any other animal shelter. 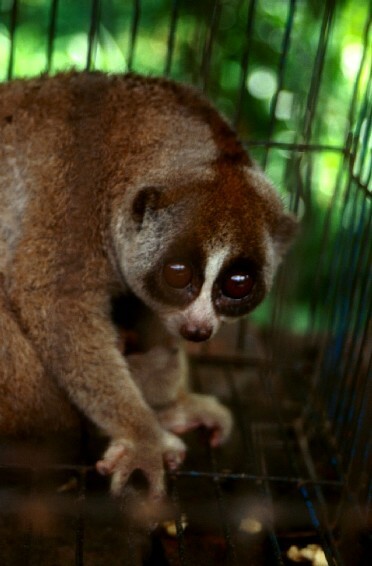 The ACRES wildlife sanctuary holds over 150 exotic animals, the majority of whom were smuggled here under cruel conditions, as part of the illegal pet trade. They need support! For as low as $30 a month ($1 a day! ), you’ll be ensuring they have the shelter, food and care that they need.